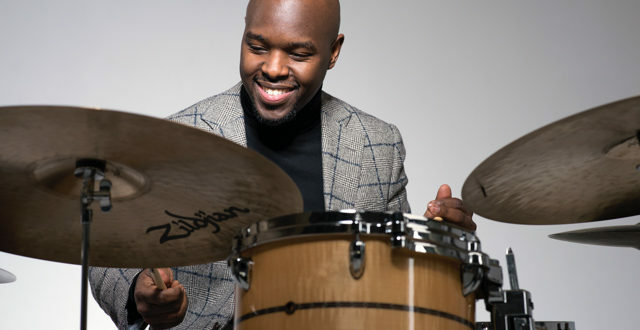 World-class jazz drummer and band leader Ulysses Owens Jr. will stop in with his award-winning group to clinic with jazz students and perform a concert at Jacksonville University March 2 and 3. Originally from Jacksonville, the virtuoso musician, who The New York Times says “takes a backseat to no one,” will conduct a jazz clinic with the JU jazz ensembles at 3 p.m. Thursday, March 2, in Phillips Fine Arts P-19. He’ll then lead a professional masterclass at noon Friday, March 3, in newly renovated Terry Concert Hall. Both events are free to the public. Jazz drummer Ulysses Owens Jr.
Owens will perform in concert with his trio and the JU Jazz Orchestra at 7:30 p.m. Friday, March 3, in Terry Concert Hall, with some very special guests. Admission to that event is $25 for the public, and free to JU staff, faculty and students with ID; to other area students with ID; and to music directors. JU students will open the Friday evening performance with the Jazz Combo I and JU Jazz Orchestra, with Owens and JU Jazz faculty performer Ricky Kirkland playing along on drums with the Jazz Orchestra. When not on call with any variety of top names, he is hard at work with his own project groups. Along with one of his highly innovative ensembles, he will stop in to teach and share his talents. Owens remains tightly connected to his hometown of Jacksonville, where his family founded Don’t Miss a Beat Inc., a non-profit organization empowering young people to dream big and give back to their communities through a blend of musical, artistic, academic and civic engagement programming. As DMAB Artistic Director, Owens has created programs for more than 200 children and teens, including a cross-cultural exchange that gives students the opportunity to experience art and culture abroad and gain self-esteem. For more information and to purchase tickets, visit jutickets.com or call (904) 256-7370. All free tickets must be picked up at the box office and cannot be redeemed online. 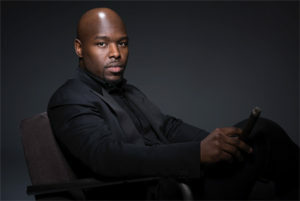 More information on Ulysses Owens Jr. can be found at www.usojazzy.com.